Junk food ads are shown more frequently on TV at times when many children are watching, new Heart Foundation-funded research shows. 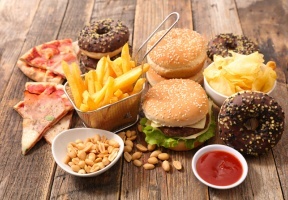 The research, led by the University of Adelaide’s Associate Professor Lisa Smithers and published in the Journal of Paediatrics and Child Health, also showed that children were exposed to twice as much unhealthy food advertising as healthy food advertising. The research found that children would view more than 800 junk food ads each year, if they watched 80 minutes of television per day. Thirty thousand hours of television containing more than 500 hours of food advertisements (almost 100,000 food ads) were logged during 2016. Snack foods, crumbed/battered meats, takeaway/fast food and sugary drinks were among the most frequently advertised foods. During children’s peak viewing times, the frequency and duration of “discretionary” (ie, junk) food advertising was 2.3 times higher each hour than for healthy foods. Across the year, discretionary food advertising peaked at 71 per cent of all food advertising in January, dropping to a low of 41 per cent in August. 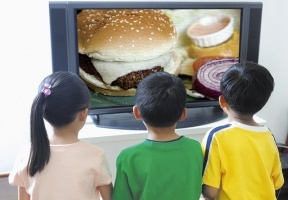 Some countries and regions have implemented children’s television advertising bans (Quebec, Canada), junk food advertising bans (Norway), and requirements to publish healthy eating messages when unhealthy foods are advertised (France).